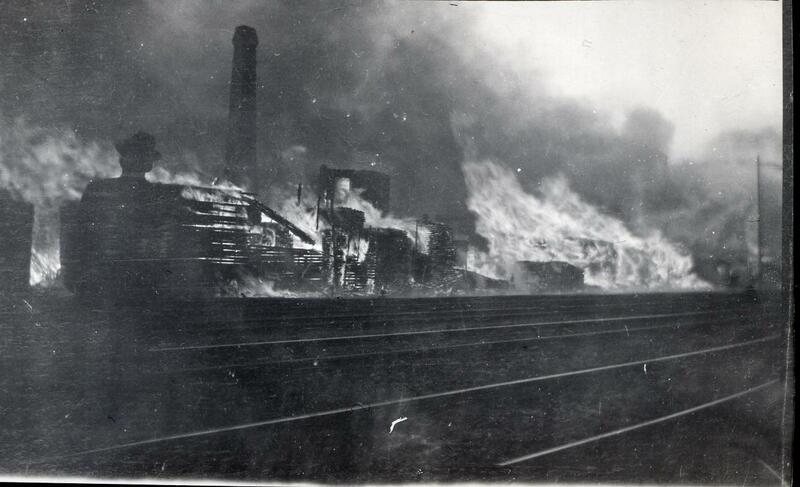 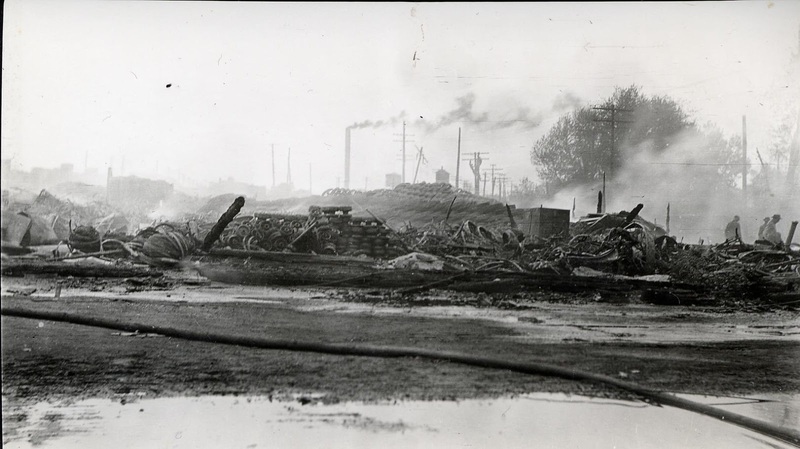 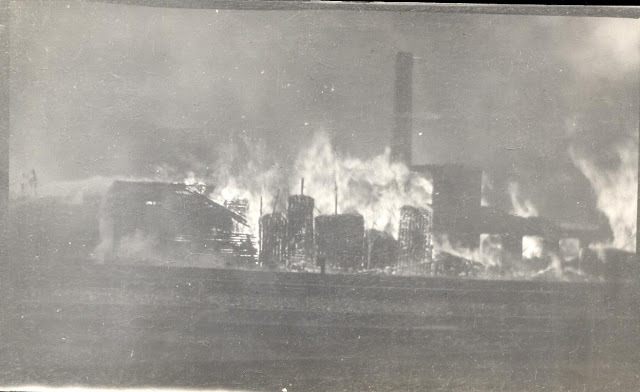 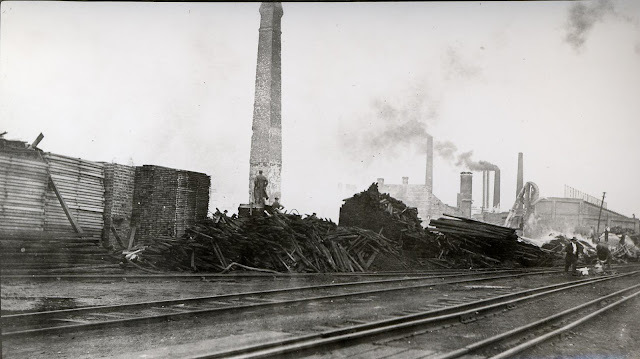 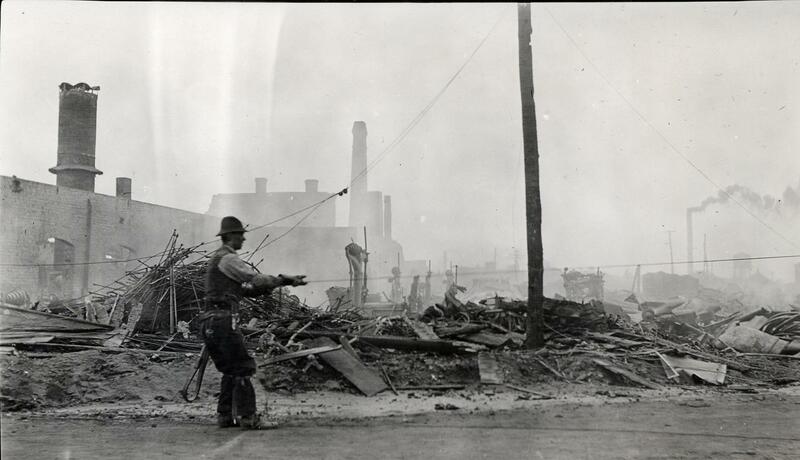 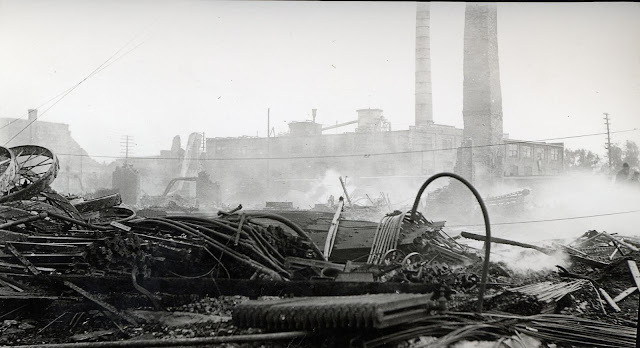 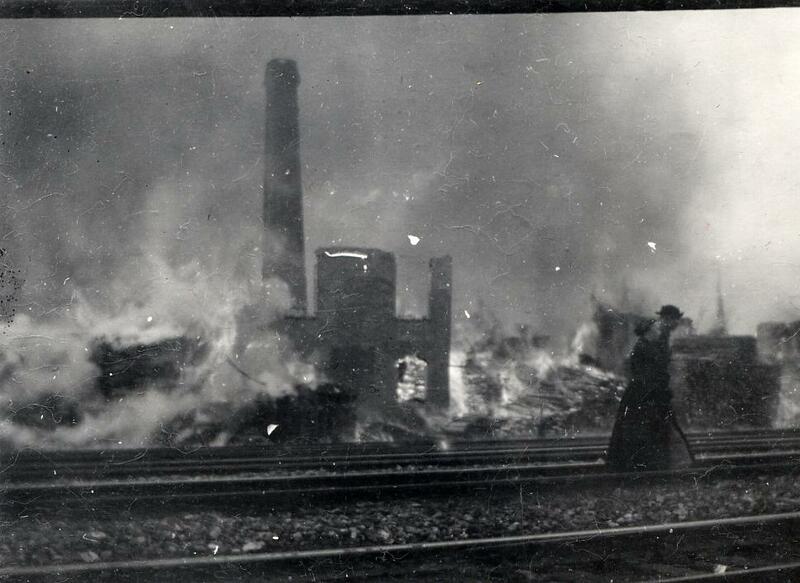 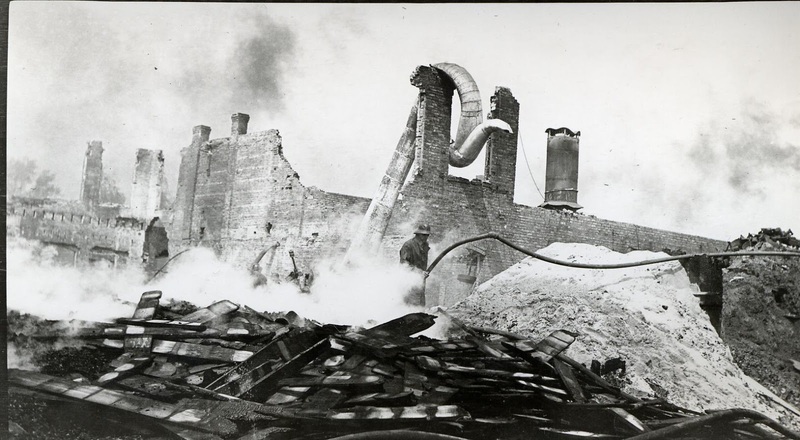 These photos capture a fire that completely destroyed Jacob Haish's manure spreader factory in 1914. 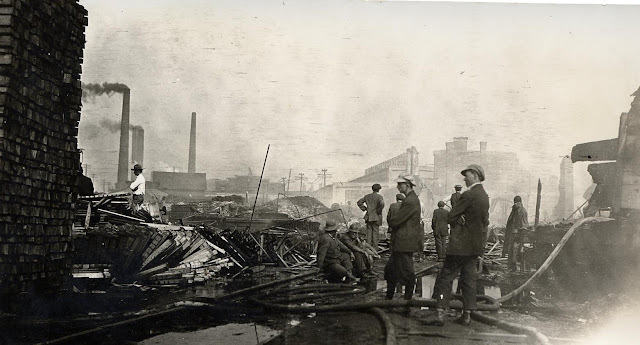 The May 20, 1914, edition of the Sycamore True Republican called the fire the "heaviest fire loss in the history of DeKalb." According to the article: "All of the contents of the big shops, which included some 200 completed manure spreaders, and a great amount of other products and raw materials, were completely destroyed." 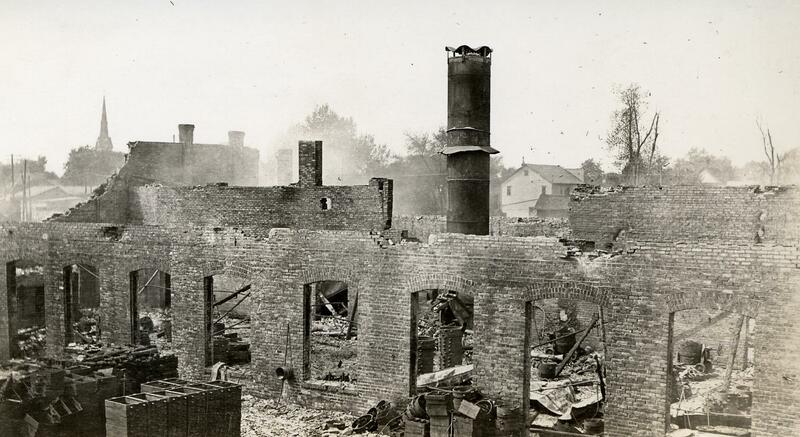 To read the complete article, click here.